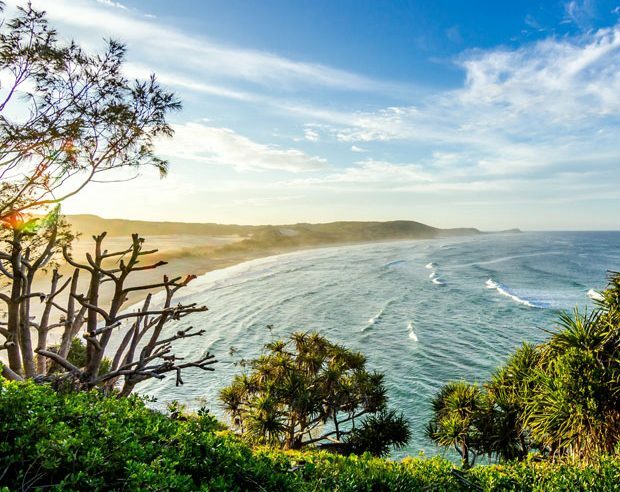 Australia is the world’s sixth-largest country by land which is famous for its natural wonders and wide open spaces, including its lush tropical scenery. The country plays host to some astonishingly diverse landscape, ranging from towering mountains and palm tree-fringed beaches and bays. Whether it’s your first time or nth time in Australia, the country always has breathtaking views and a unique experience up its sleeve. In this piece, we have listed down Australia’s most beautiful paradise island — they are the perfect answers for travellers yearning moments of freedom and relaxation away from the hustle and bustle of cities. With the Daintree Rainforest to the North, the Great Barrier to the east and the Atherton Tablelands to the west, Cairn’s location is spectacular. The small port city is your gateway to Tropical North Queensland. Cairns gives access to some truly unique ecosystems: from lush green jungle to a sparkling blue Coral Sea. This is where the rainforest meets the reef. As one of Australia’s most popular holiday destinations, Cairns is well set up for visitors, with a picturesque harbour, air-conditioned shopping malls and classic Australian pubs. The parklands in the compact city centre give you a taste of what it is to come when you set out to explore this tropical region. Located 45 minutes from Cairns, Fitzroy Island is easily accessed by regular ferry transfers on the air-conditioned Fitzroy Flyer. Fitzroy Island is home to the most incredible natural landscapes and spectacular rainforests — the perfect place to explore stunning walking trails, exuberant marine life, and local wildlife. Fitzroy Island is composed of around 97% National Park perfectly suited for short, easy walks for all ages and fitness levels. If you fancy hiking or bushwalking and you can’t still decide where to go, Fitzroy Island is just right for you. Find yourself surrounded by lush green rainforest and beautifully framed mountains and be mesmerized by the beauty of Nudey Beach along the way. Nudey Beach is a favourite tourist destination and considered as Australia’s Best Beach for 2018. Aside from the picturesque view, white and fine sand, and pristine crystal-blue water, Nudey Beach always has something new and exciting up its sleeve. Swim and snorkel amongst the vibrant marine life and be surrounded by the tropical fish and see if you can spot Fitzroy Island’s famous clownfish or sea turtles. Enjoy lunch with views before you dive in again and witness what an amazing world down under! Fitzroy Island is very attractive for those on a budget, especially families and backpackers. 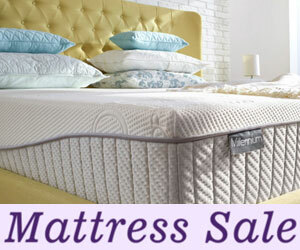 Many come here for two nights and stay for weeks. Bruny Island is situated off the south-eastern coast of Tasmania, Australia. It is Tasmania’s premier island destination, offering amazing natural beauty surrounded by a wide range of boutique accommodation, food and tour experiences. To get to this fantastic island, you’ll need to take a Hobart drive down to Kettering which will take for about 30 minutes. From there, a 20-minute ferry trip going to the island awaits you. Bruny Island is surrounded by wonderful coast that serves as a hub to abundant marine life. It is also home to rare and endangered species such as fairy penguins, fur seals, and white wallabies. If you fancy bushwalking, Bruny Island is also a good destination to visit. Be dazzled by its incredible beauty as you take on one of the many strolling tracks on the island. Another must-do activity, while you’re on the island, is Bruny Island eco-friendly cruises. Book a trip and experience the majestic view of the shoreline. After exploring its stunning beauty, don’t forget to try its delicious local product such as cheese, chocolates and its famous local oysters. Bruny Island surely offers a one-of-a-kind tropical experience without leaving your bank empty. Rottnest Island is home to over 63 amazing beaches, bays, and top spots. The island is located 19km off the Perth coastline in Western Australia. Rottnest Island is only 45-minute away from Hillarys Boat Harbour, north of Perth, and reachable via Rottnest Fast Ferries. If you’re on a tight budget, a free shuttle can be accessed from the centre of Perth that allows you to get your way to the ferry terminal at Hilarys. Rottnest Island has become more popular for tourist over the past decade because of the variety of things to do suited for all ages and all preference in the island, such as kayaking, snorkelling, diving, swimming and fishing. Rottnest is a real gem as it is a largely uninhabited island, filled with lush nature and crystal-clear waters, allowing you a great viewing experience of its magnificent reef, fish, turtles and dolphins. The island is truly a paradise — perfect if you’re looking for a quiet place for relaxation and meditation. There are no cars on Rottnest so if you love riding a bicycle, the island will definitely give you that wonderful experience as you roam around the island- surveying the beauty of the coastline while cycling. 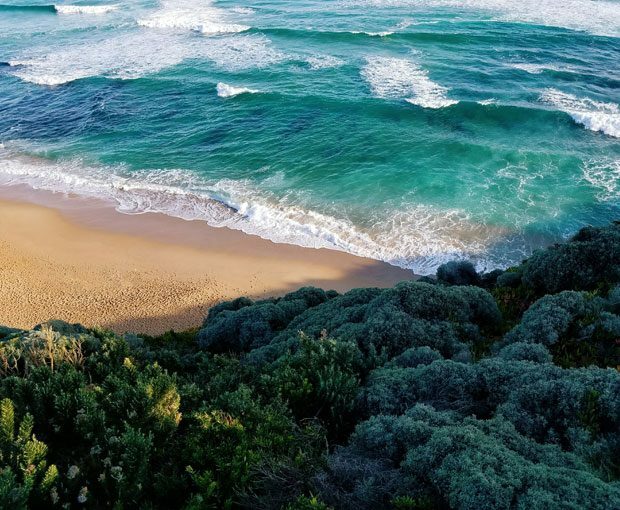 If you still have energy after hours of cycling around the island, climb the Wadjemup Lighthouse and be blown away by the breathtaking views across the whole island. 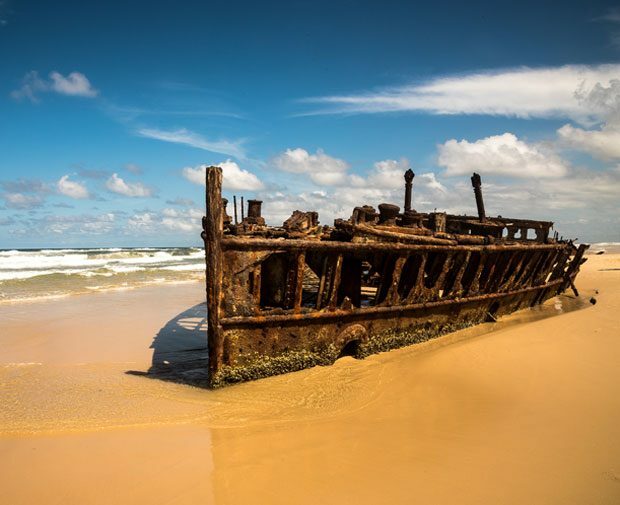 Fraser Island is a 184,000-hectare island located just off the coast of Hervey Bay. It is the world’s largest sand island; it is a precious part of Australia riched with exceptional natural charm, cultural heritage and marvellous beauty with its dazzling pristine white beaches ringed by astonishing sand cliffs, lavish rainforests and more than 200 freshwater lakes. Fraser Island is the only place in the world where you can find tall rainforests growing on sand dunes at elevations of over 200 metres. Its famous 75 Mile Beach is also known for some of the best fishing in the world and is a great place if an exciting surfing experience is what you’re looking for. 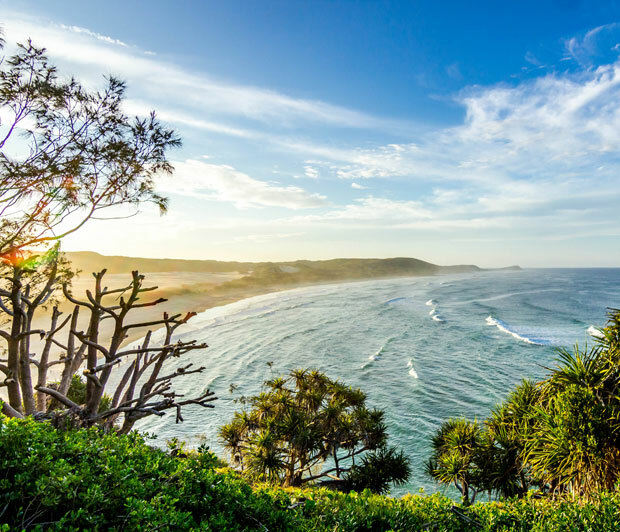 If you’re a camper and seeking for some solitude into the woods, Fraser Island will certainly give you the Australian wilderness you’re after with some luxurious resort-style accommodation on the side as an option.